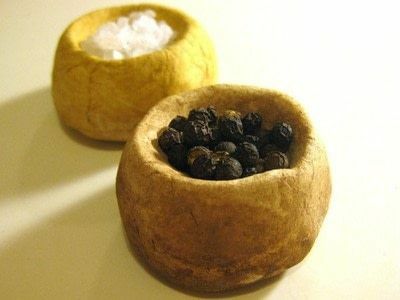 Rustic style salt and pepper pots. 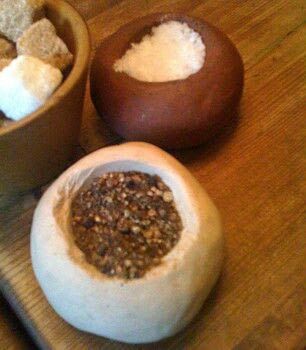 My Dad really liked the clay salt and pepper pots that they have in Jamie Oliver's (click to photo two) and was wanted to buy some similar. Buy? pah! 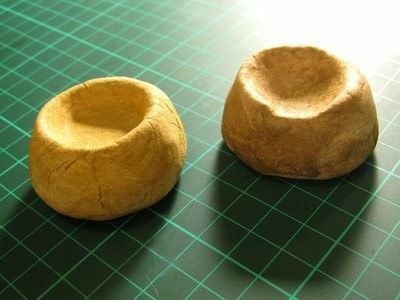 who needs to buy something that easy to make? I decided to make him a set for his birthday. Break off two equal sized lumps of clay. 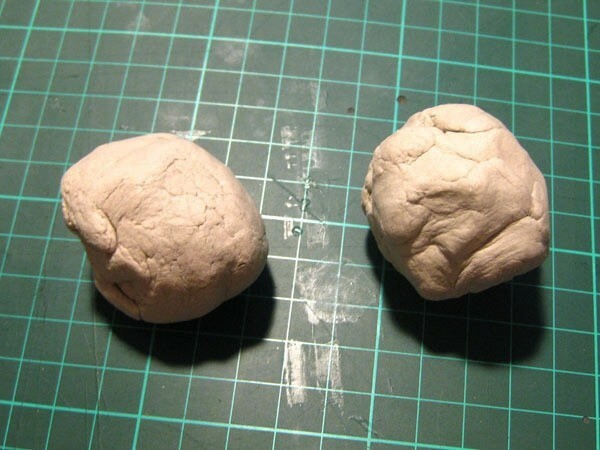 Roll a lump of clay in to a smooth ball and then press it against a flat surface. Push your finger down in to the center of the ball and run it around in a circle, until you get a nice dip in the middle. To get rid of cracks in the clay, dip your finger in some warm water and simply wipe the crack away. Repeat with the other lump of clay, so that you have two even pots. Leave to dry. 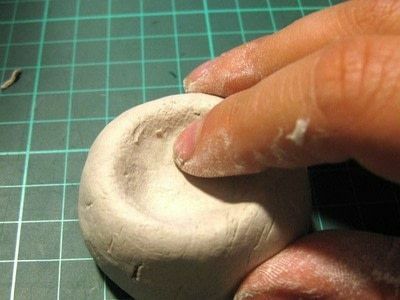 Place a very small amount of paint on your paint brush and then, with lots of water, brush it all over the pots. The aim is to get a nice earthy look. 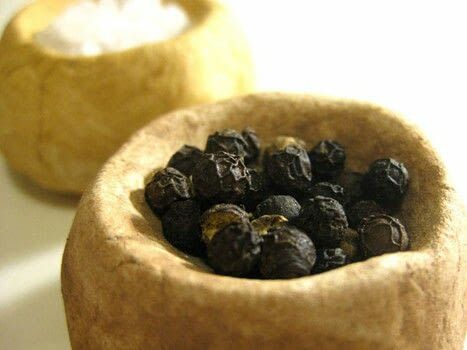 Fill with salt and pepper and you're done!